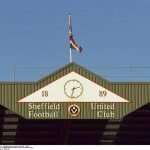 Sheffield United saw themselves move into the automatic promotion slots in the Championship on Saturday following victory over fellow unexpected promotion hopefuls Queens Park Rangers. A tight game played itself out across the 90 and there wasn’t much goalmouth action to be honest, but David McGoldrick secured all three points when he broke the deadlock in the 37th minute. 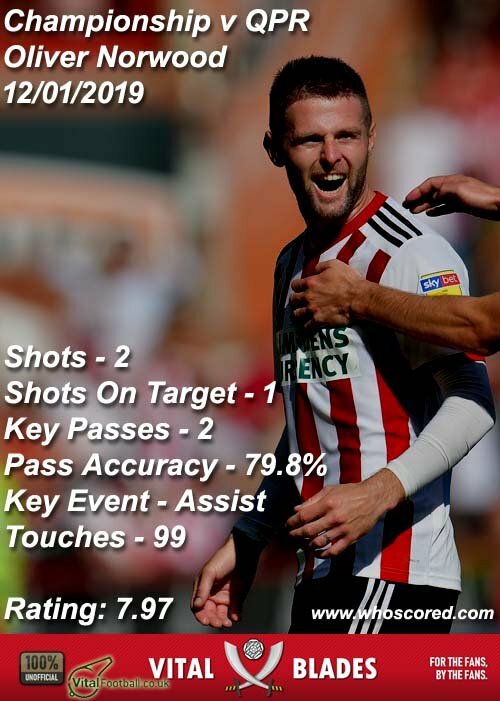 Whilst replacing Norwich City will take the headlines and the 31-year-old will get the plaudits for his part in doing that, he didn’t secure statistics website Whoscored’s star man rating, as that went to midfielder Oliver Norwood for his efforts on the day. 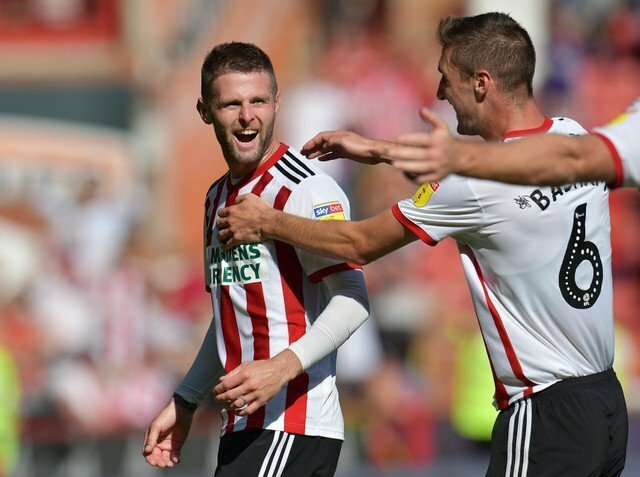 In taking the 1-0 victory, the top five best performing players for the Blades were completed by McGoldrick who took second spot with 7.57 and he was followed by John Egan (7.41), Enda Stevens (7.38) and Jack O’Connell (7.27). Also receiving ratings of seven-plus were George Baldock, Chris Basham, John Fleck and Mark Duffy. The question is now, can we consolidate second spot and look to really overachieve and chase down Leeds United.